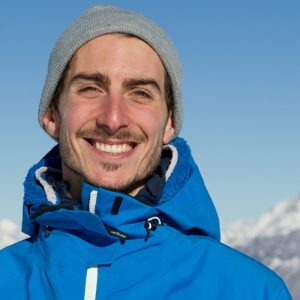 James is a relaxed easy going instructor who loves every aspect of skiing and mountain life. He is just as comfortable shredding the pistes/off piste/itinerary runs as he is getting air in the park. 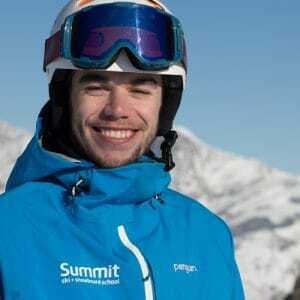 In particular he is very passionate about freestyle/freeride aspects of skiing. In the summer months he swaps the mountains for the sea, always in search of that perfect wave and when he finds it, it’s just like with skiing, he feels alive. I love every aspect of skiing and, through my lessons, i do my utmost to pass on this passion to ensure that my clients, whether a beginner or advanced skier, can achieve their full potential. My biggest passion is freestyle/freeride skiing. If you share a similar passion, given the amazing terrain that Zermatt has to offer and my knowledge of the resort, i can guarantee that for any level of skier we will have lots of fun and improve technical skills all over the mountain. No matter what level or ability you are, i feel i can always tailor a lesson to ensure you get the most out of each session and will want to come back for more.